Toyota’s performance division – known as TRD – has brought five customized vehicles to the 2015 SEMA Auto Show this year. By now, it is clear that none of these vehicles are anywhere near as extreme as some of the vehicles TRD has brought to SEMA in the past. There are some body modifications, but the interior and drivetrain remain almost untouched. Last year, Toyota and TRD brought us what came to be one of the best sleepers ever designed. It was a Camry that was extensively modified with a custom chassis and a 5.7-liter engine. The body actually lifted off of the frame, hinged at the rear, like a common-day funny car. Well, Toyota has presented another TRD Camry this year at SEMA, but don’t be getting excited just yet – there is no sleeper material here. In fact, at a quick glance, you might not even know the TRD Camry has been modified. 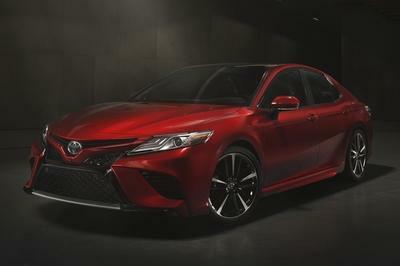 This year, the TRD Camry comes in the form of a 2015 Camry XSE V-6. 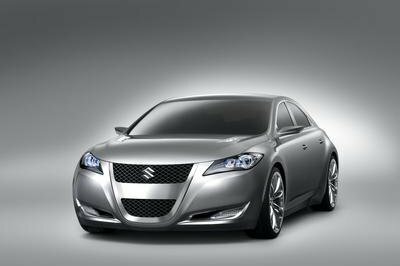 The sedan has been a best seller in the U.S. for the last 12 years, but it was redesigned for the 2015 model year, so at least it has that going for it. Now that this TRD Camry has been unveiled, let’s take a look at what it brings to the table. Continue reading to learn more about the Toyota TRD Camry SEMA Edition. The thing that really helps set this Camry out from it stock counterpart is the suspension kit. The exterior of the TRD Camry is finished in a Silver Pearl paint. Up front, TRD installed a small front spoiler lip. 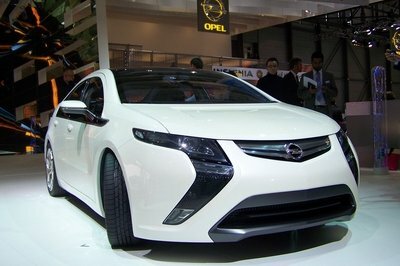 The front spoiler is too small to do anything for the Camry aerodynamically, but it does add a bit of style to the front end. To the rear, a new, five-fin diffuser has been installed and painted flat black – really setting off the chrome on the exhaust outlets. A red TRD badge also sits opposite of the Camry badge on the deck lid. On the sides, side skirts have been installed, but — like the front spoiler — they are very mild. The side skirts do add an extra body line to the vehicle below the doors that seems to accent the character line on the doors. The thing that really helps set this Camry out from it stock counterpart is the suspension kit. 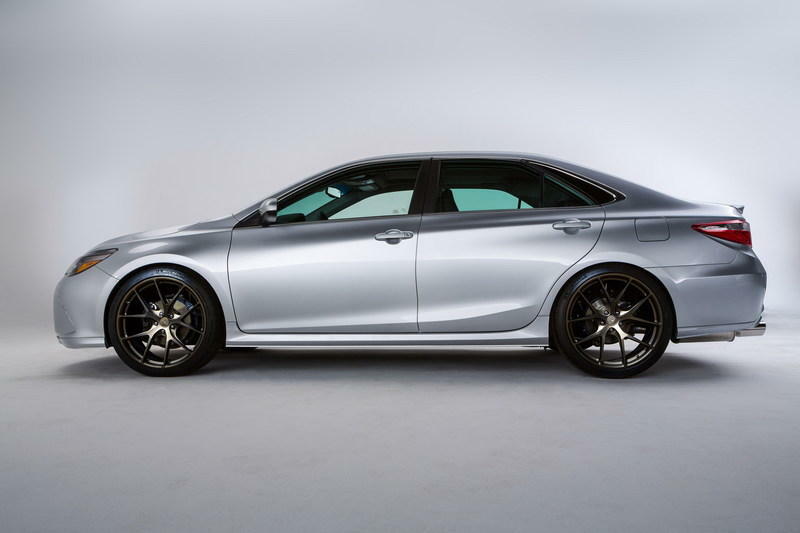 TRD threw in lowering springs all the way around to drop the ride height by one inch in the front and 1.5 inches in the rear — finally, a Camry with a decent stance to it. Rounding out the exterior is a set of 21-inch TRD performance wheels that are painted bronze and wrapped in 255-series tires. There is really nothing special to see on the inside of the TRD Camry. The most noticeable difference, in comparison to the production model, is the TRD embroidery on the seats. The car also appears to have received red stitching on the seats, door panels dashboard, and center console lid as well. The red is a nice touch to go with the black interior, but I expected to see a little more. If the TRD treatment becomes available for the Camry — and it may depending on the general reaction to the package at SEMA — I would expect to see other TRD enhancements to the interior. Specifically, the sedan could gain premium TRD floor mats and at least tinted windows. TRD branding added to the programming of the entertainment system would be a nice touch as well. For the most part, the drivetrain was neglected in terms of TRD treatment. 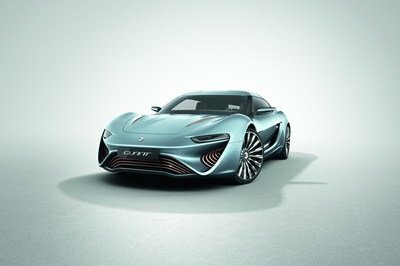 The car did receive a custom, free-flow, cat-back dual exhaust system that should add a few ponies to the 3.5-liter V-6 that outputs 268 horsepower and 248 foot-pounds of torque. That power is sent to the front wheels via a CVT transmission. When you add on the free-flow exhaust, I will bet there is a gain in 10 to 15 horsepower at best, so this Camry might hit 280 horsepower on the dyno. TRD also installed performance-tuned struts and brake pads to aid in maneuverability and stopping power. Should the TRD package become a reality for the Camry, I would expect to see some other drivetrain upgrades as well. A new intake system and a mild ECU remap wouldn’t be out of the question. In all reality, I’m a little disappointed with Toyota and TRD and what they have brought to SEMA this year. Last year, the Camry they showcased in Las Vegas had some serious modifications, but the TRD cars this year seem a little lazy. I like that the Camry has a performance exhaust and suspension system, but outside of that, I expected something a little more extreme. Toyota’s National Engagement Marketing Manager, Steve Appelbaum said, “We think our SEMA Edition TRD vehicles will surprise many.” Unfortunately, I don’t think that is the case here. Cars like the TRD Camry and Corolla are so lightly modified that, without the TRD badge on the deck lid and TRD embroidery on the interior, some may not even notice they are. The five Toyota Racing Development (TRD) vehicles on display at Toyota’s 2015 Specialty Equipment Market Association (SEMA) Show booth are designed to inspire the imagination of industry professionals and consumers alike. Toyota is looking for actual feedback on these sporty machines. The five SEMA Edition TRD vehicles—representing a cross-section of five of Toyota’s most popular sedans, SUVs and crossovers—have been modified for sportier good looks and more responsive handling. 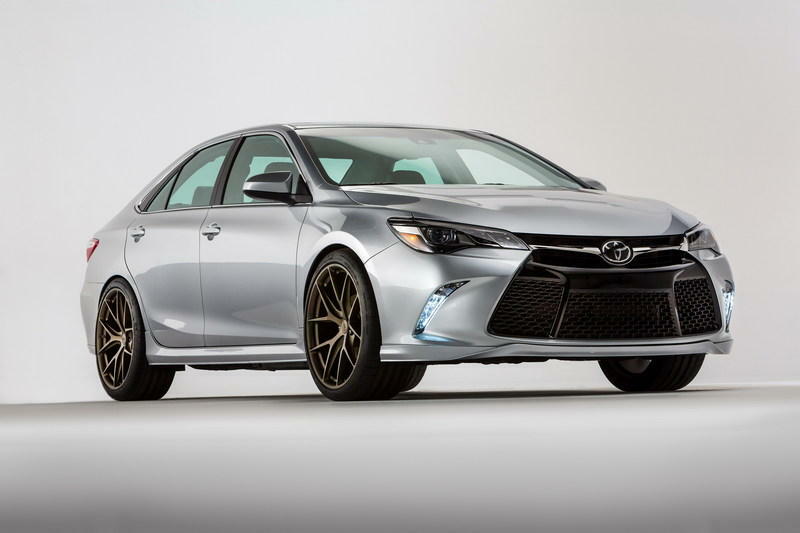 The quintet is comprised of a SEMA Edition TRD Avalon, Camry, Corolla, Highlander and Land Cruiser. All of the SEMA Edition TRD concepts feature special edition Silver Pearl paint on the exterior and custom TRD embroidery inside. In addition, all but the Land Cruiser sport a front chin spoiler, aero-inspired rocker panels and rear-end diffuser treatment. Just as each model plays a different role in the Toyota lineup, each of the SEMA Edition TRD vehicles boasts unique modifications designed to enhance its sporty looks and driving dynamics. 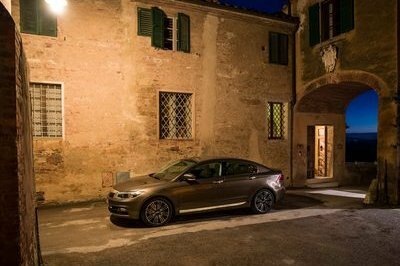 The best-selling car in America for the last 13 years was redesigned for 2015 with a bold new look, stiffer body structure, enhanced aerodynamics and its quietest ride ever. 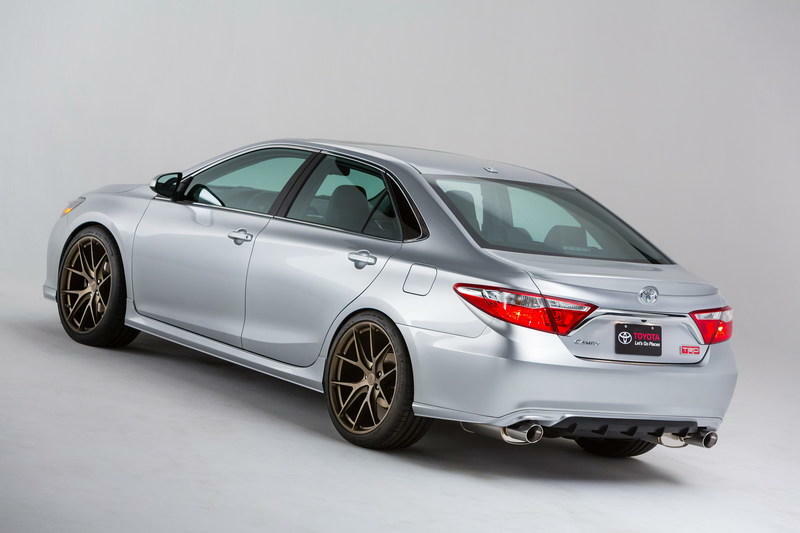 Using the 2015 Camry XSE V6 as a canvas, the artists at TRD used TRD lowering springs to lower the vehicle by 1 inch up front and 1.5 inches in back, for better aerodynamics, improved traction and handling, and a more aggressive stance. Both the look and the handling are enhanced by 21×9.5-inch bronze TRD performance wheels surrounded by 255/35/21 tires. 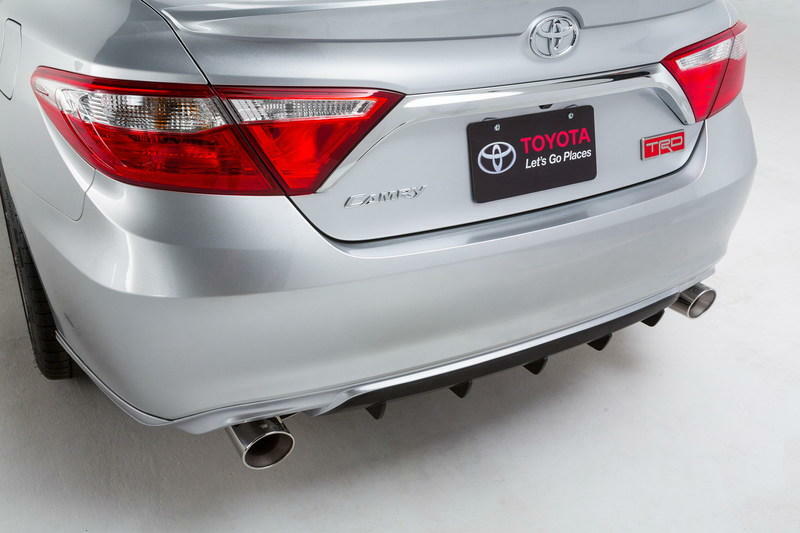 TRD performance-tuned struts, brake pads, and custom free-flow cat-back performance dual exhaust complete the package.